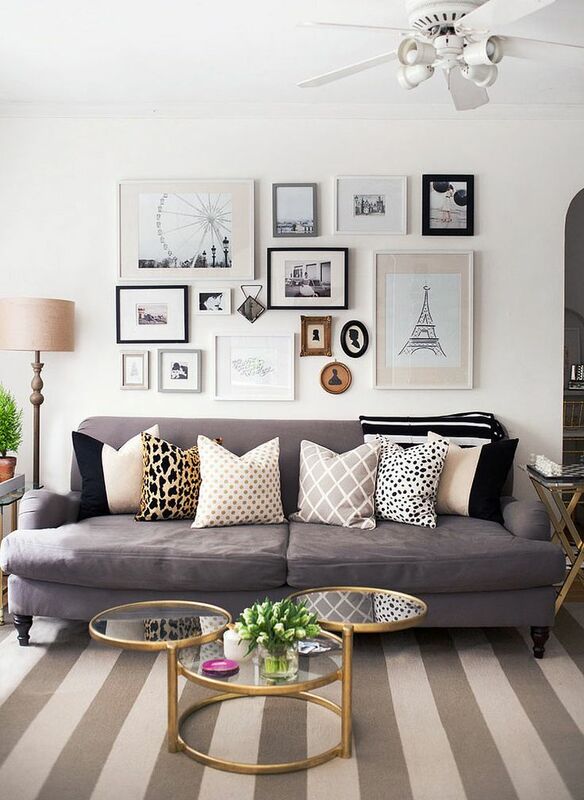 I've seen these photo wall collages for years and have always thought they are a clever way of clustering neat visual elements. Many moons ago, when I was still rocking a 35mm camera, I tended to have a ton of physical photos kicking around. 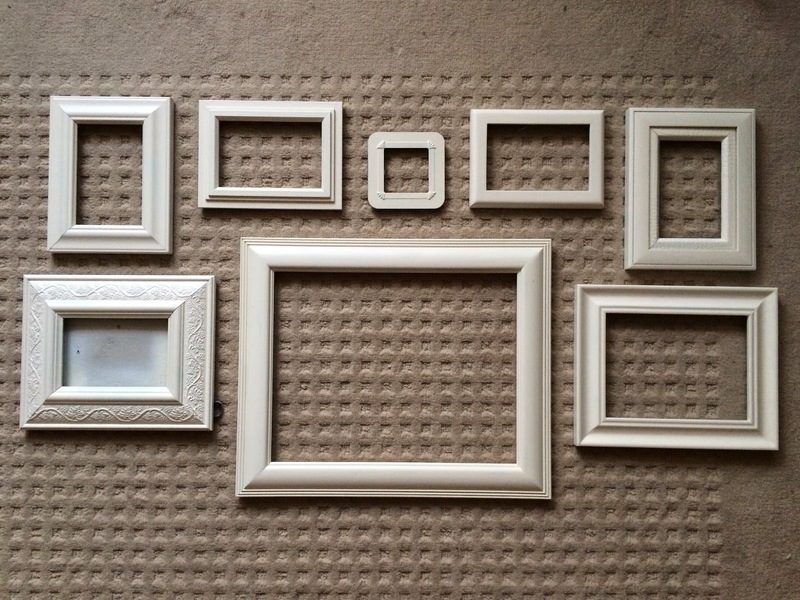 After a lot of years of collecting frames for all my photos, I had ended up with a pretty decent stockpile of neat frames. So I had an idea of creating a cool wall collage with the nicest of the ones I had collected. The only problem: they were all different colors that didn't really go well together. Solution: painting time!! Conveniently, I had some paint left over from the table refurbish project, so I simply used that to repaint the frames I had. Once I had the frames finished, I arranged them in about a dozen ways to try to figure out what worked with what I had and came up with this layout. Once I had the frame configuration figured out, it took me a while to decide what I wanted to do with what would go inside them. 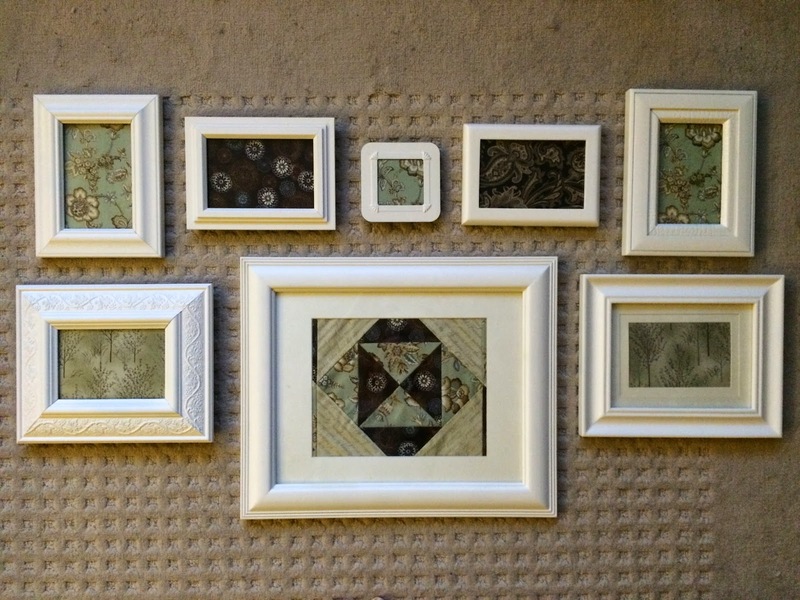 Finally, I decided to fill each frame with pieces of cloth from my quilt project. Then began the task of getting this bad boy up on the wall. I didn't take photos of how I did this part (mostly because there was a giant mess during the process and I like pretending like all my projects are well organized and always super clean haha). 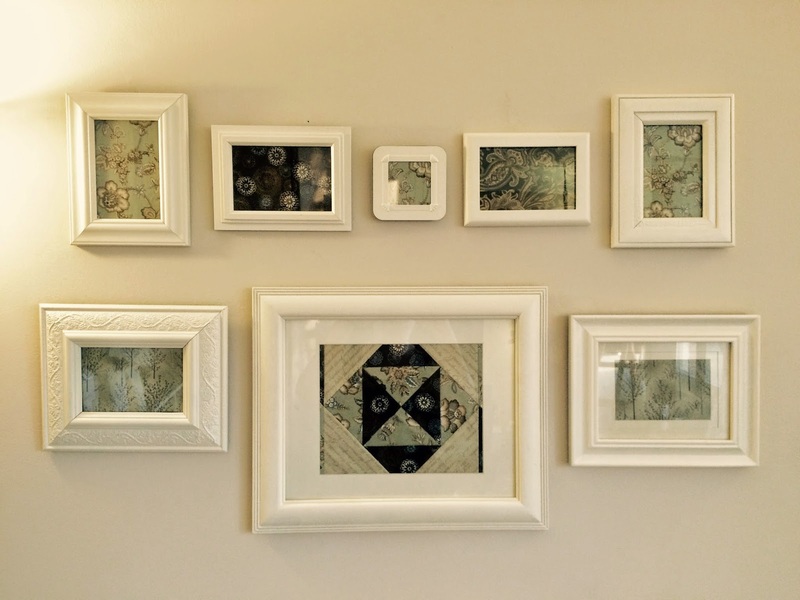 Turn over each frame and place a strip of parchment paper or news papers over the backs of the frames. Feeling through the paper, mark where each frame will be hung. Using a laser level, make sure the markers are level and tape your paper to the wall where the frames will go. 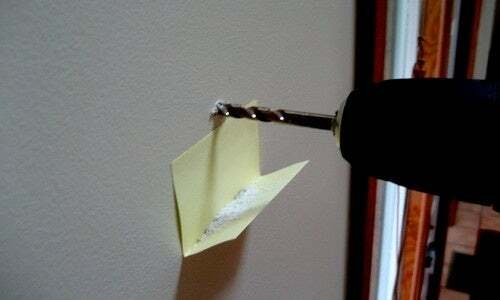 Protip: when drilling holes in walls (especially if you have plaster walls like I do), to avoid the mess, stick folded post-it notes to the wall under the place where you're going to drill your hole so that it catches all the wall mess. I learned this trick a few years ago and have been using it ever since!